David is the Chief Executive Officer of the Australian International Marine Export Group (AIMEX), Superyacht Australia and Australian Commercial Marine Group (ACMG). He is a graduate of the Royal Military College, Duntroon and graduated as an Infantry Officer in the Australian Army. David was previously the Manager Operations for the Far North Queensland Ports Corporation. Included in the ports David was responsible for was the port of Cairns containing three shipyards, HMAS Cairns and Australia’s largest superyacht marina, Marlin Marina. 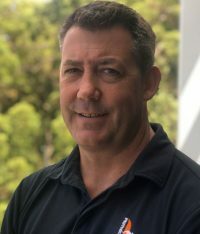 David joined AIMEX as CEO in July 2018 after 13 years in Cairns.